The foundation of all “religions” is the same principle, and that is the principle of unity. The Prophets came with the good news, that there is a God and each individual could know him. If there is only one Reality, one God, there can be only one Religion. Therefore, what does the word “religions” mean, and what is the Reality of Religion? The words and the teachings of the Prophets such as Moses, Jesus, and Mohammad (peace be upon them all) are in accordance with one another. They all guide souls to the cognition of God and to the ultimate level of divine unity. There are no differences within the original doctrines of the different religions. The differences exist in the interpretation among people. There is only one God, the Creator. It is a misunderstanding between the different social religions through history that has caused the problems that the world is facing today. Then he said, “Religion is a Reality. If you know God you have Religion, otherwise whatever you have is a figment of your imagination.” Therefore, there is one Reality, one God, and one Religion. Each Prophet symbolizes a particular stage of this cognition. The teachings of the Prophet s present the reality of one Religion through stages of liberation of the soul. There is only one Religion, but man has divided the one Religion into many different religions and branches of the same religion. This same Religion has three parts; 1) The Law (Shari’at); 2) The Way - the journey (Tarighat); and 3) The Truth (haghighat). No one part alone can lead one to the final stage, which is the Truth. The first stage, the Law, is required to bring order and discipline to ones life and consequently to society. This stage is reflected in Judaism; Moses received the Law, and brought the Ten Commandments down to mankind. The goal was for mankind to create order and conformity, and eventually find the way to the Promised Land. But, they did not follow the Law and its reality. The second stage, the Way, symbolizes Christianity and the way to the Holy rebirth. Jesus said, “Think, not that I have come to abolish the Law and the Prophet s, I have come not to abolish them but to fulfill them...” (Mathew 5:17-19). He said, “I am the Way, and I am the resurrection.” The Way to the Holy rebirth was the essence of his teachings. The Way, the journey should have led them to the rebirth in the kingdom of the Father. However, the followers not only did not fulfill the law, but contributed to the crucifixion of Jesus. The final stage, the Truth, is manifested in Islam. 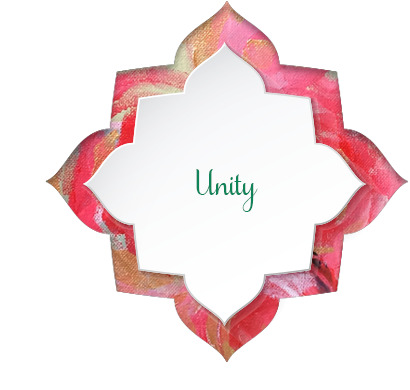 The doctrine of unity is the essence of Islam. This is when the drop loses its boundaries, its limited identity and submits to the ocean. The word Islam means submission (Taslim) to the absolute reality, to God. Only in this total surrender to the true knowledge can one reach the Truth and witness the God in the sanctuary of his heart. The Holy Prophet of Islam symbolizes the very last stage of religion. He brings the Message that God must be seen and witnessed, and that God must be known. His doctrine is one of unity. The seeker of the truth seeks oneness with the divine. Through the ecstasy of love, the barrier between God and his creatures gradually breaks down, resulting in divine unity. The goal of Sufism is union with the beloved. Islam, however, has undergone the same transformation as Judaism and Christianity. The practice in Islam today is far away from the Truth. Sufism revolts against this partial view of religions and the forms they have taken as a result of individual interpretations of those doctrines. Sufis believes that there is a large distinction between blind faith and true faith. The true faith is realized by personal experience, witnessing, and revelation, and as we have seen, this is exactly how the Prophet s discovered the Truth. Upon witness I declare that God is one and that there is no god but God.